So here's an analysis of the various base textures found in the Trespasser levels (excluding mountainous terrain, for which not much clear evolution can be seen, anyawy). First off, the TestScene terrain. This is the light-colored muddiness seen in images of the earliest versions of jungle levels. Next we have a texture known as "Light Base Trans", so it's a composite between "Base" and "Light" in this stage of the design. Next we have "(jungle ground) Light Cover". 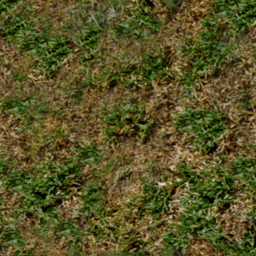 So, what you see here is the "Light" grass, messed up with a bit of opaicty..
"Cover Heavy-to-Light Transition". 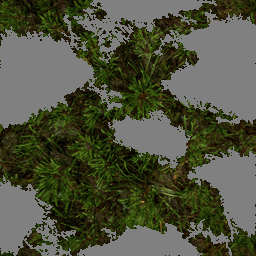 This is a cover-object that transitions between "Light" grass (above) and "Heavy" grass. This seems to be called "Large Patch Medium Cover". So, it's a level of grass-cover between "Light" and "Heavy," despite the texture above which transitions directly between them. Honestly though, it seems to be the "Heavy" one, based on the transition.. If you compare the previous grass-levels, you can actually find direct correlations. This one, however, doesn't really have that. It also appears to have been poorly-paletted at some point. It's called "IJ Medium Cover", and so seems to be supposed to fit the same "level" of grass as the one above. Hmm.. It's a very similar color, but has a bit more grassy detail visible (if in poorer quality). 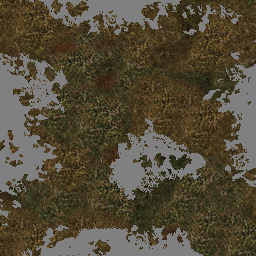 Sad to say, despite the cool details, the previous one ought to be used in classic terrain reconstructions. 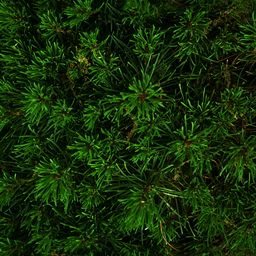 Still in classic textures, here we have the ORIGINAL pine base texture. I believe this one was found by Sam (hppav) in the retail IT swap file. Notice the little white speck and rock, there.. The final "piece" of the oldest living stage of terrain is this bit of "Plains Sand Grass". I don't really see any grass on it but it does look very sandy indeed. This version is from the beta - a surviving texture in IT retail has been repaletted so many times that it only has 2 or 3 colors left. Next we move into a later stage of terrain development. It's not a complete stage but has a couple things to note. 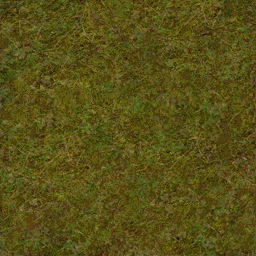 First off we have this "grass mud" ("moss blend" on the object) terrain texture. Nice and dark green.. It's pretty cool. 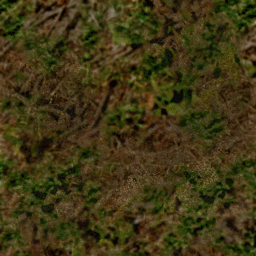 Objects with this texture are found in JR - there are only like, 3 or 4 in the retail, and maybe 12 or so in the beta. It's just around the second section of monorail. In the beta, we see that they are placed on the boarders of that unusual brownish gorge terrain. This suggests to me that it was intended to "blend" the gorge with the base terrain. 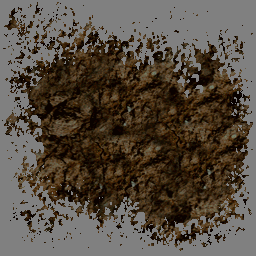 Then you have this dirt texture from BE. I believe it's also in IT. Pretty basic, not much to say about it, but it is a nice bit of dirt terrain called "Mud Patch"..
Aaaand then we have THIS. 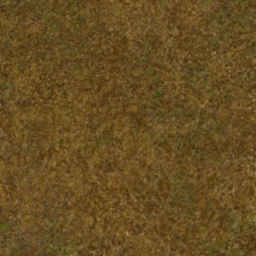 It's still the base terrain texture in IJ 96. 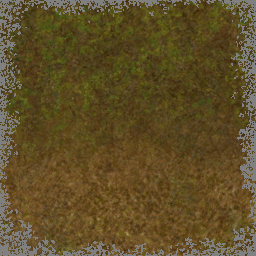 There are many images and videos of this texture being used in ALL the other jungle levels, which surely have came before build 96. 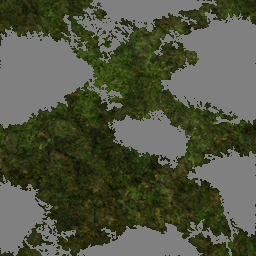 Then, the final, ugly terrain stage, when the devs seem to have been getting upset at the engine's instability and wanting to reduce the total number of terrain objects rendered in case this helped. 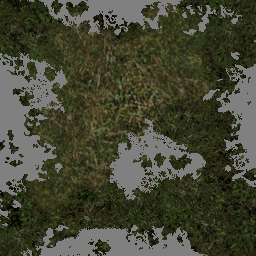 With the previous stage, we had the sharp transition from even-colored terrain into a very visibly tiling (but visually appealing) texture which gave both grass/moss and dirt everywhere. Now, desperate, they combined multiple textures for both the jungle and pine terrains in order to arrive. 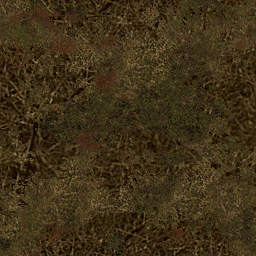 Then we have the dreaded green-and-brown mess "Grass 05" from all the retail jungle levels. Yeah. Next in line is the first transition (from IT) between jungle and pine country. "IT Tran 10 A"
Next transition step. "IT Tran 09 A". 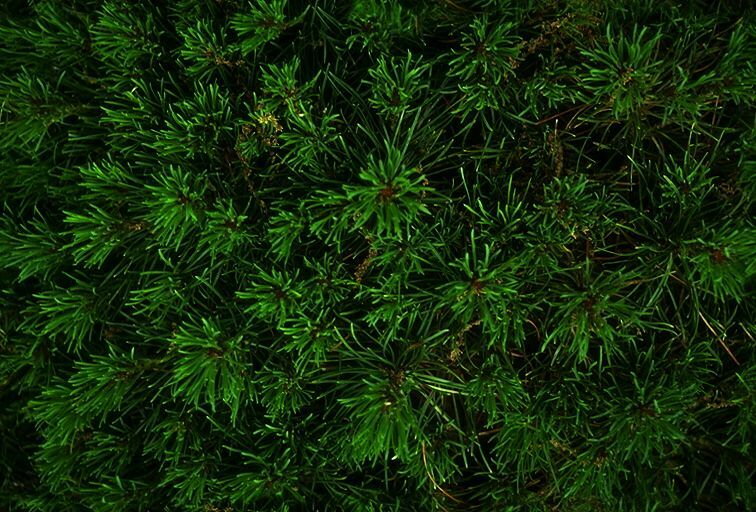 Finally, we have the pine ("Ascent Base") texture. If you look closely, you can see little specs of the old PV texture still in it. Try a direct comparison, you'll see it. Now we have some unknowns. 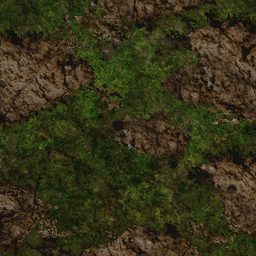 One of the two "cyc" terrain textures in PV. You can see some of this made its way into the new pine base terrain. This one is not actually used anywhere. It's only in the basement of both PV and the demo. 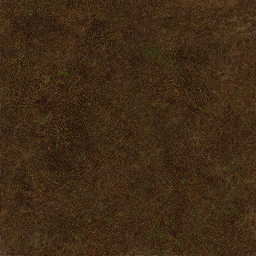 You can see a bit of it (scaled down) in the other cyc texture. Hmmm... Something looks familiar... Ah! 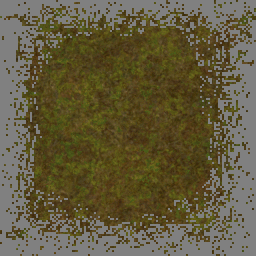 This is one of the three "grass mud" textures - 02. 01 is the moss pictured above, and 03 is a bit of light-brown dirt/leaves not seen outside of BE and JR. 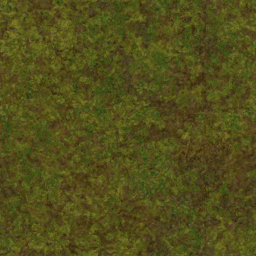 Anyway, look at this and the dark green cyc texture. If you look closely... You'll see small bits of it embedded in there. And guess where THIS came from? Aha. Perfect fit. Check for yourself. I'll do a thread some other time showing just how much of Trespasser was stock material. That's all the terrain analysis I have for now! 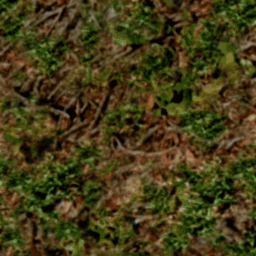 I should note that the the large 4-square PV terrain object found in all retail levels (and maybe all beta levels) is a better example of the early renders of high-quality pine environments, and that it ended up not looking that good when texture limits were placed at 256 and the terrain had to be managed completely with 256x256 images.. This is interesting. I've wondered if they used readily available images, created them from scratch, or simply when out and photographed terrain. Yeah. Lol maybe cyc stands for "recycled"